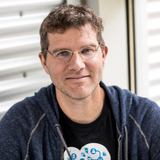 Brendan Burns is a distinguished engineer at Microsoft Azure and co-founder of the Kubernetes project. Before Kubernetes he worked on search infrastructure at Google. Before Google he was a professor at Union College in Schenectady, NY. He received his PhD in Computer Science from the University of Massachusetts Amherst and his BA in Computer Science and Studio Art from Williams College. He lives in Seattle.